Tonight is the night! Our annual Winter Celebration starts at 4:30 p.m. FYI: The Main Office will close at 4 p.m. and there will be no Extended Hours after school today so that our staff can attend this event. Friendly reminder to bring some money — Junior High students will have delicious chocolate bark for sale — cash only. Over two days, on Nov. 21 and 22, a team of administrator from CCMA, completed the onsite component of our re-accreditation process; the accompanying paperwork was submitted six weeks earlier. Virginia Ramirez (Northstar Montessori), Blanca Sanchez (Kaban Montessori), Sarah Enright (Montessori Country School) and Katherine Poyntz (Executive Director of CCMA) thoroughly enjoyed their time in the school and being a part of our MA community. Some of their overall observations that they shared with us included: the genuine interactions between teachers and students; the beautiful environments and design of layout with a full complement of materials; the high calibre of work; how happy and engaged the students were in the classrooms; and the impressive capital improvements we have made since their last visit. In the next 6 weeks we will receive a full report from the team, where they will recommend re-accreditation for MA to the CCMA Board of Directors! Countdown to Christmas – Only 4 spots left! All Lower Elementary students are invited to join us for dinner, crafts and reindeer games! We will be starting the night off playing a myriad of “reindeer games”; there will be a variety of stations including decorating cookies, crafting homemade candy cane ornaments and more. Students will take home a photo of this fun event. A pizza dinner will be included with a sundae bar for dessert! Hosted by Layna, Andressa, Cindy, Shawna, Lindsey and Sarah. 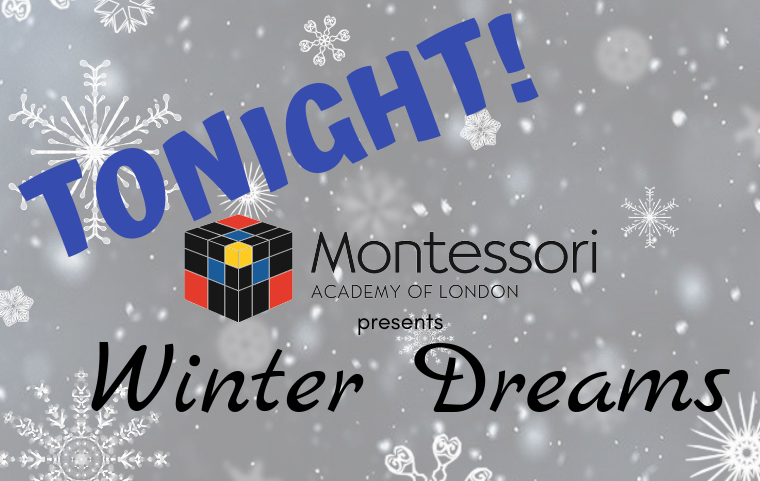 To register, please call the Main Office at 519-433-9121 or e-mail reception@montessori.on.ca. Cash or cheque accepted; please make cheques payable to Montessori Academy of London. Have you heard? 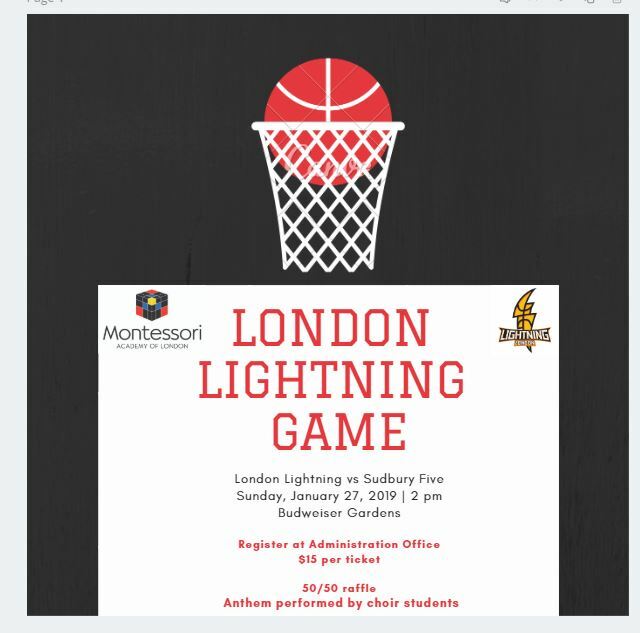 On Sunday, January 27, 2019 Montessori Academy will be attending a London Lightning game! Join us while we raise funds for the improvements for Junior High and have a great time watching our home team annihilate the Sudbury Five. Tickets to this event are $15 and your friends and family are welcome! Your child wants to go, but you can’t? Connect with other parents in their class to see if they can tag along! We will also be running a 50/50 draw with tickets for $2/each or 3 for $5. As an added bonus, our very own Montessori Choirs have been invited to sing the national anthem. Choir students interested in singing will need to have a ticket for the game. Please sign up at the Administration Office. Tickets available for purchase until January 22, 2019, and deadline to register your child to sing the anthem is January 8, 2019. Please contact Melissa Parker at mparker@montessori.on.ca with questions. Come see how our tree is blooming in the lobby of the Main Office! 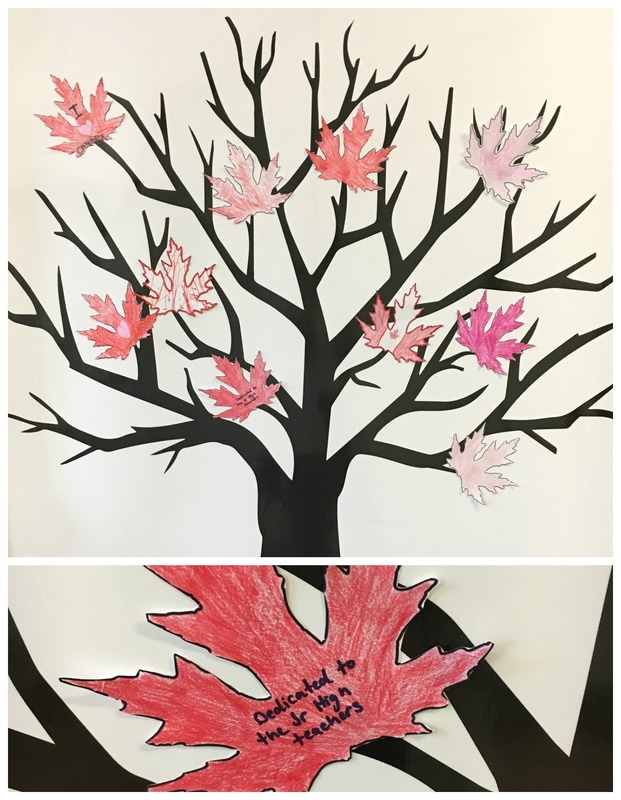 Each donation to our annual appeal places a personalized leaf on the tree. And we’ve had some beautiful and creative submissions. Hurry before all the good spots are taken! Misplaced your leaf or donation form? Contact Melissa Parker at mparker@montessori.on.ca for a new one. Last Wednesday morning all of the Senior Casa children ventured over to the Elementary building to participate in some fun activities with the Year 1 and 2 students. 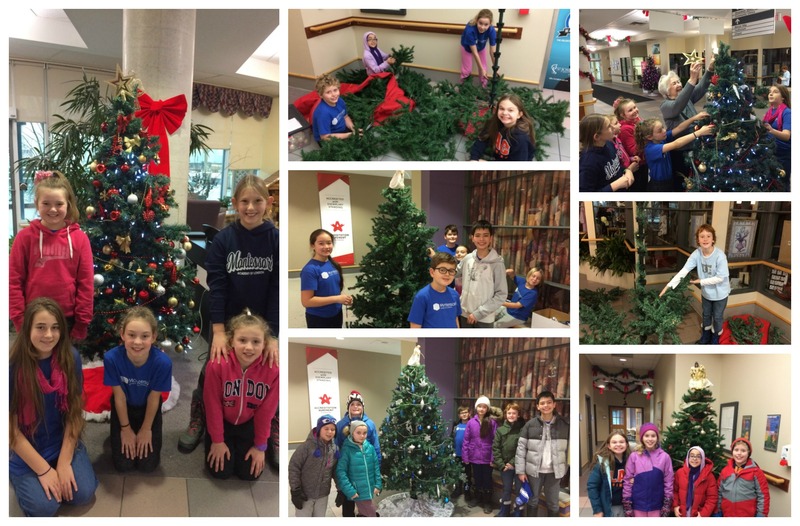 The three Lower Elementary classrooms had three different holiday themes: Canada Day, winter carnaval and Thanksgiving. 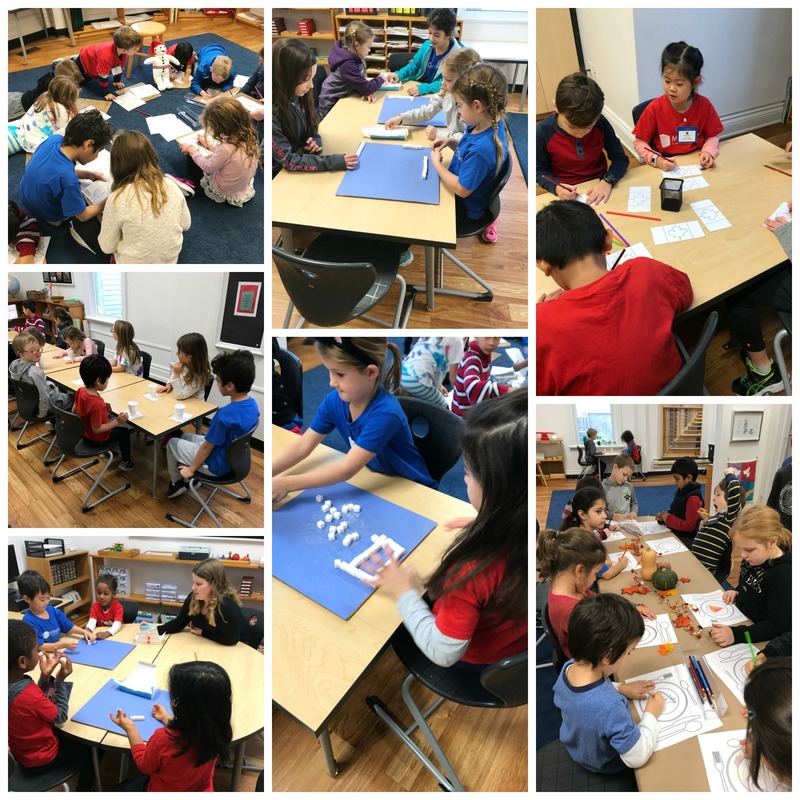 The students were broken into groups and rotated through the three themes learning about each one of these Canadian celebrations, playing games and doing crafts. The Casa children enjoyed seeing some of their peers from last year! So much fun was had by all! The holidays are in the air! 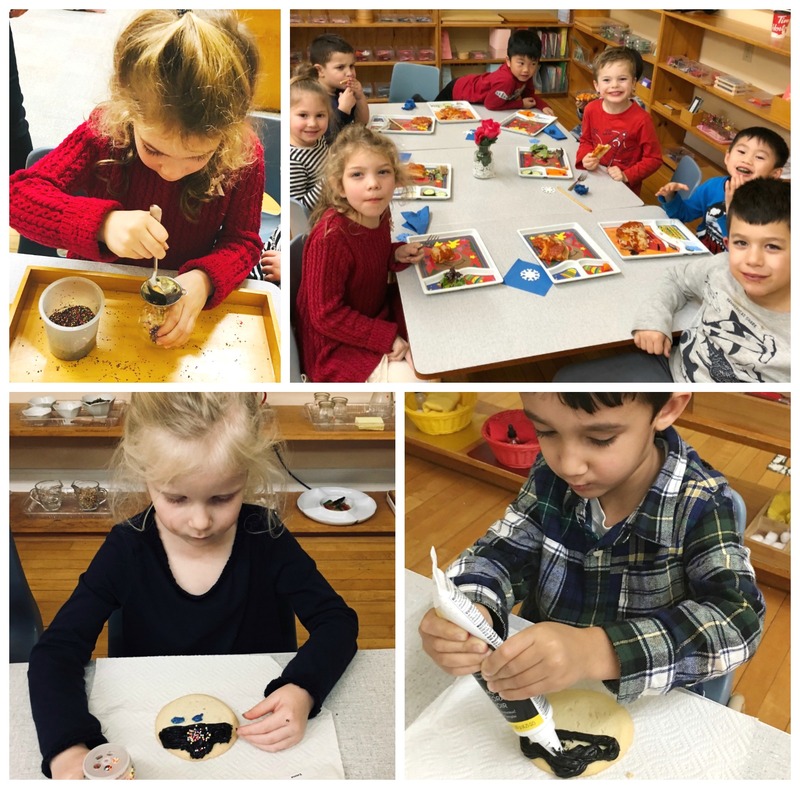 The children stayed warm and cozy in the Westmount classroom making pizza, drinking hot chocolate, decorating cookies and creating a beautiful Christmas tree ornament. Thank you to all of those families who participated in the event and helping us to make it a success. 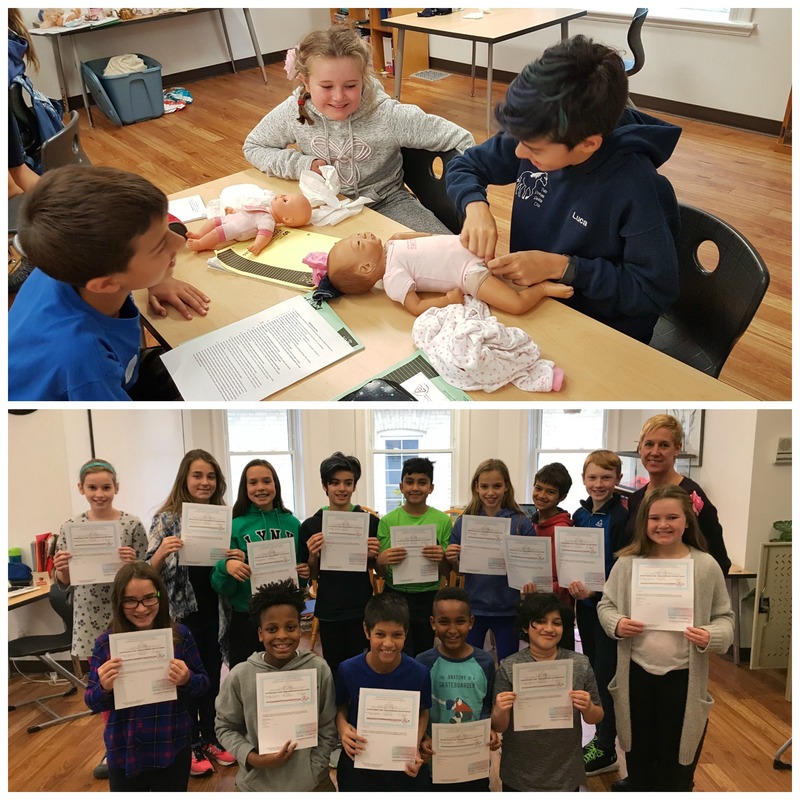 The Year Six students had the opportunity to take the babysitting course this year. We learned many valuable things about taking care of babies and school aged children. We enjoyed spending our Mondays at playtime reading our babysitting manuals. We would like to give a special thank you to Kristen Crouse for taking her time teach us how to become wonderful babysitters. If you need any babysitter feel free to ask the year sixes. The WE club had the opportunity to go to Mount Hope nursing home to assemble and decorate Christmas trees for the seniors!